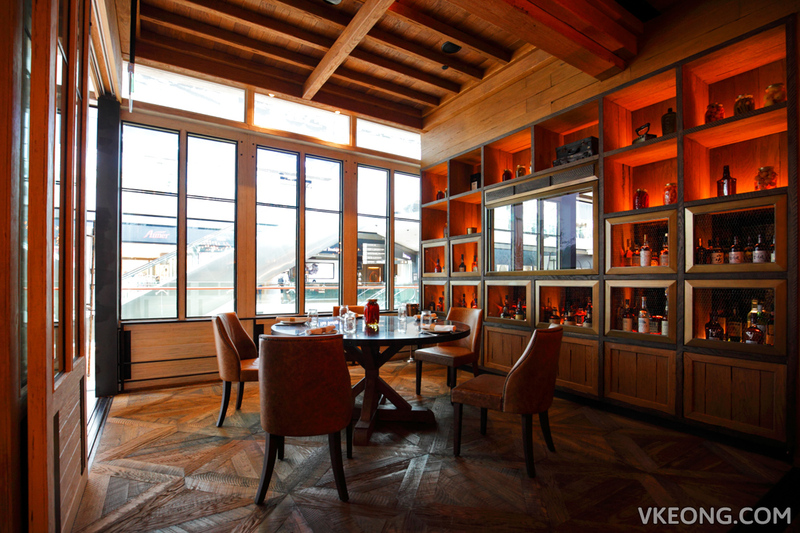 Last weekend, I had the opportunity to dine at some of the best mid-range restaurants in Marina Bay Sands. 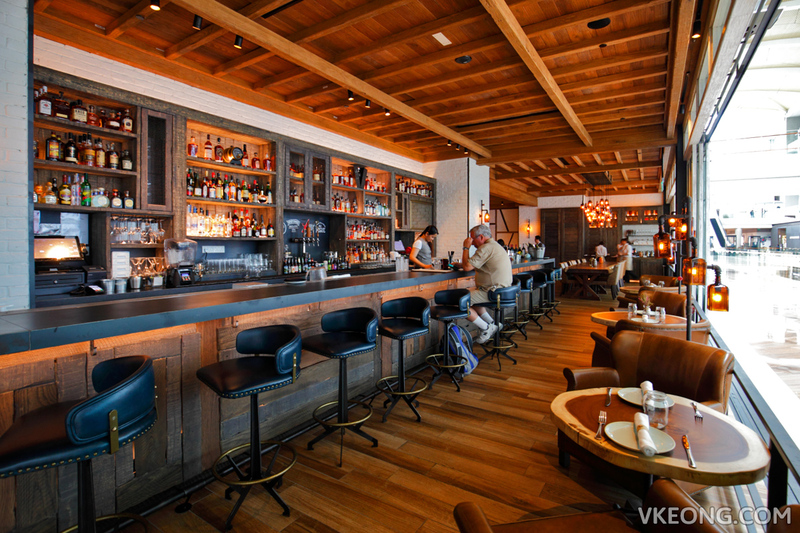 Among all, I enjoyed The Bird the most for its classic Southern cooking and casual yet modern atmosphere. 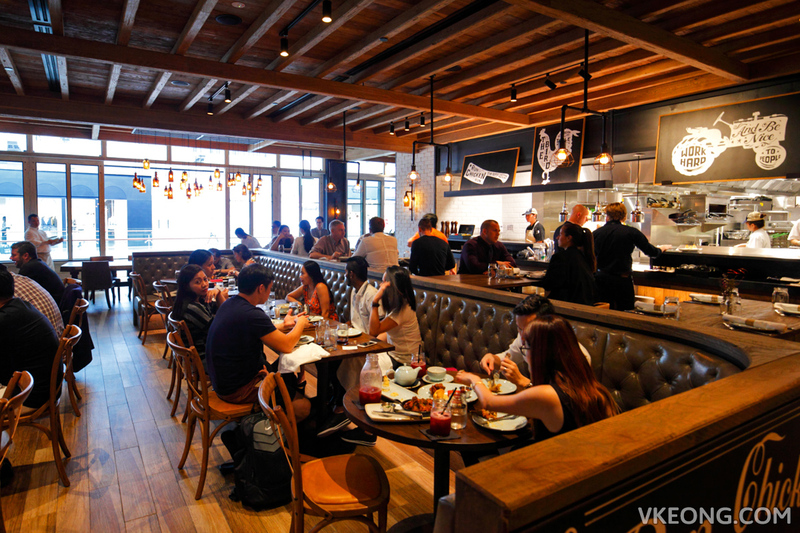 Originally known as Yardbird Southern Table & Bar in The States, the restaurant changed its name for the Singaporean outlet because another Hong Kong based restaurant with the same name is set to open in MBS soon. 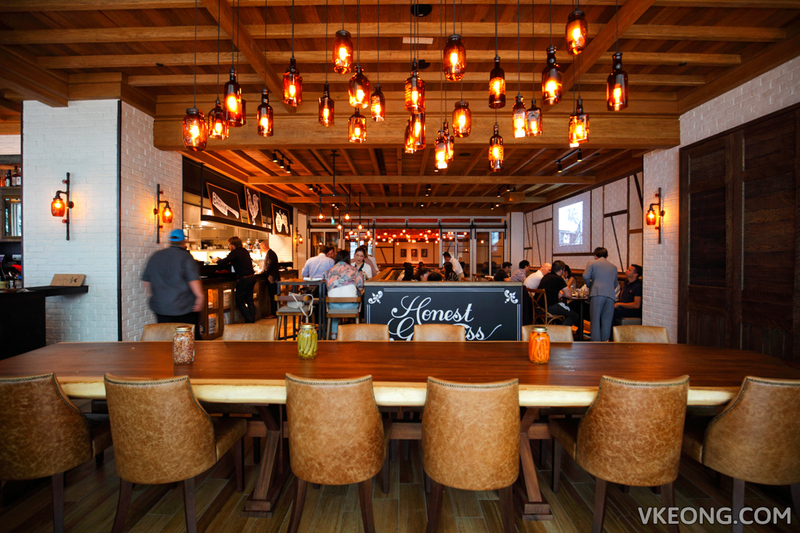 The Bird is famous for fried chicken and their Lewellyn’s Fine Fried Chicken is prepared according to a 100-year-old recipe created by the restaurant founder’s grandmother. 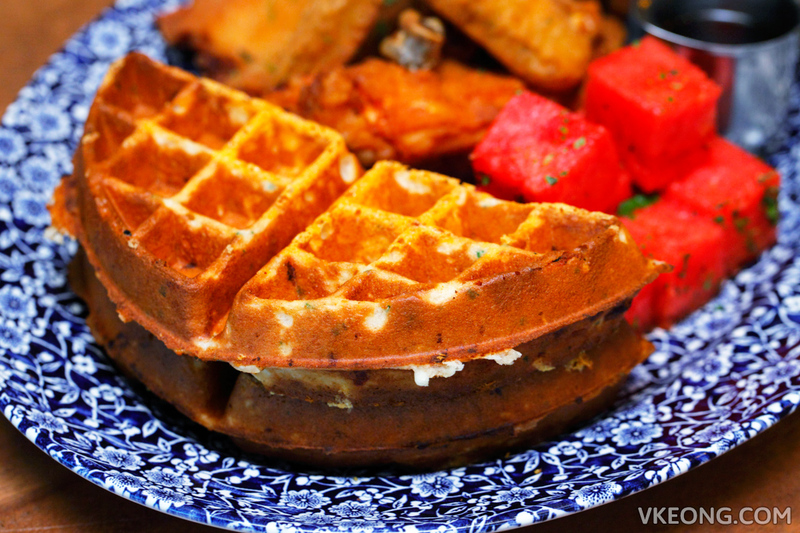 Waffle is also a classic here, so to get the best of both worlds, go for the Chicken ‘N’ Watermelon ‘N’ Waffles @ $45. 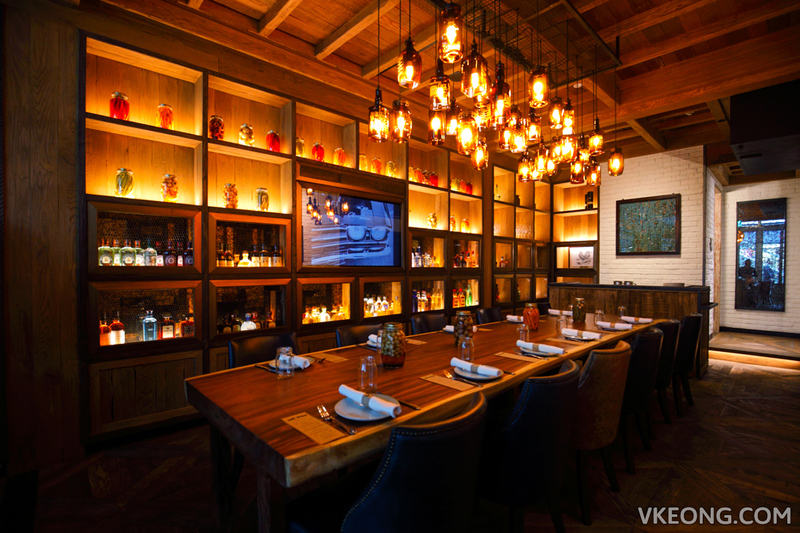 It comes with half a fried chicken with honey hot sauce, chilled spiced watermelon and vermont cheddar cheese waffle with bourbon maple syrup. The portion looks big because it’s meant for sharing but I was told that the average American would have no problem finishing the whole plate. 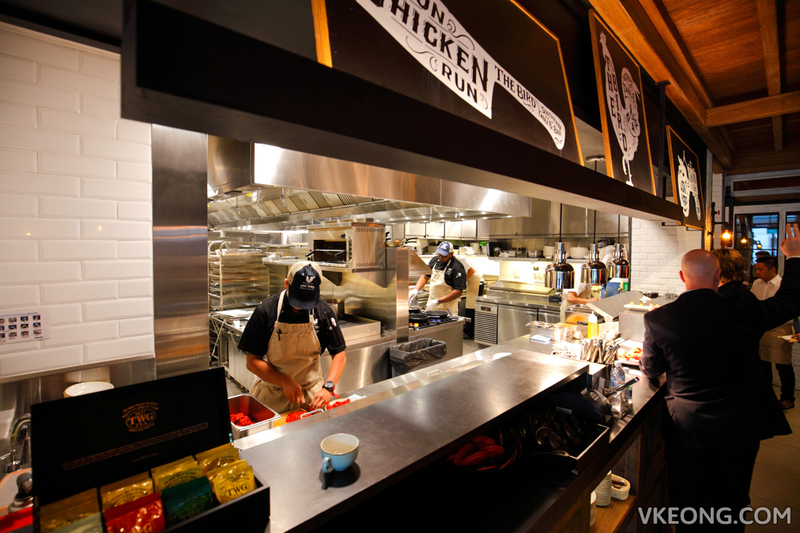 Although the fried chicken was not exactly mind-blowing, it was undeniably scrumptious with all the qualities you want in a good fried chicken – crispy skin, fresh and juicy meat, and you won’t really taste the batter because it’s so thin. The unique blend of spices and herbs also gave the fried chicken a distinctive flavor, which the closest I can think of is KFC’s Original Recipe 30 years ago. Don’t get me wrong, I don’t mean it as a disrespectful comparison because we all know how good KFC used to be at that time. As for the waffle and watermelon, they were nice but honestly, I didn’t care too much for them. If you are not a fan of fried chicken, try the Fried Green Tomato BLT (3pcs) @ $18 which falls under the “Small Plates & Shares” section. 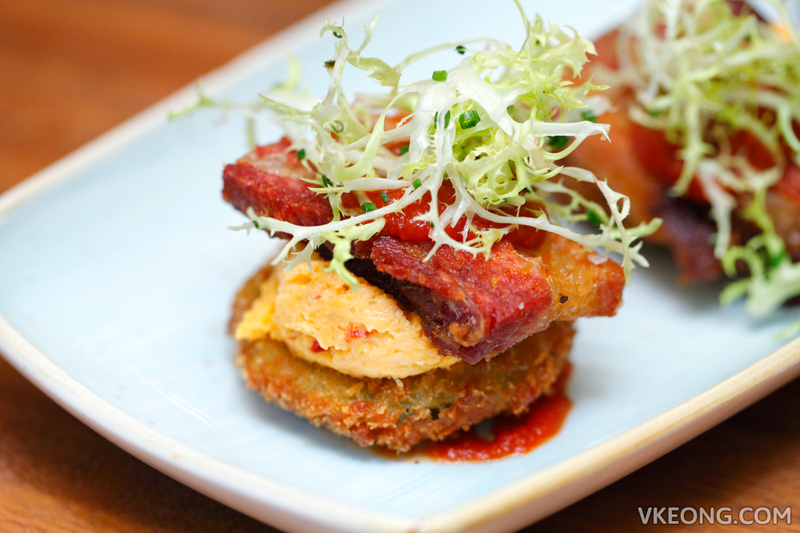 A slice of fried green tomato forms the base of the sandwich consisting of house smoked pork belly and pimento cheese held together by smoky tomato jam. Every bite is met with a myriad of textures and flavors. I highly recommended it. 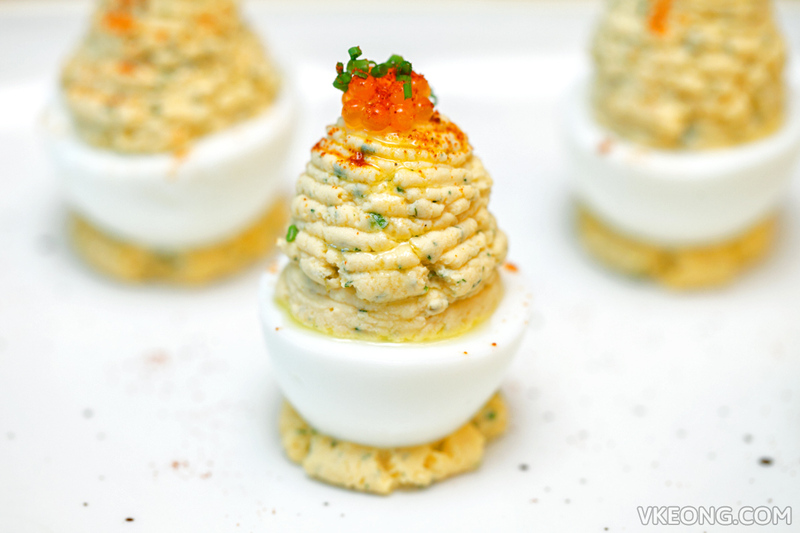 Deviled Eggs (3pcs) @ $14 is also a good choice, the creamy egg yolk mixture was wonderful with a punchy topping of smoked trout roe. 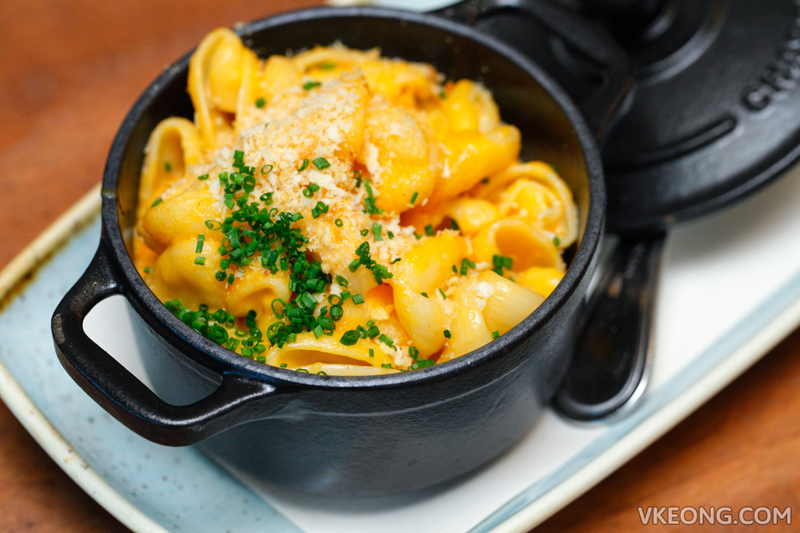 Macaroni & Cheese ($14) is the quintessential comfort food in the Western world but I have never really understood the appeal behind it, until I had The Bird’s version. I gladly dug into it and almost finished the entire bowl by myself, so that says a lot. 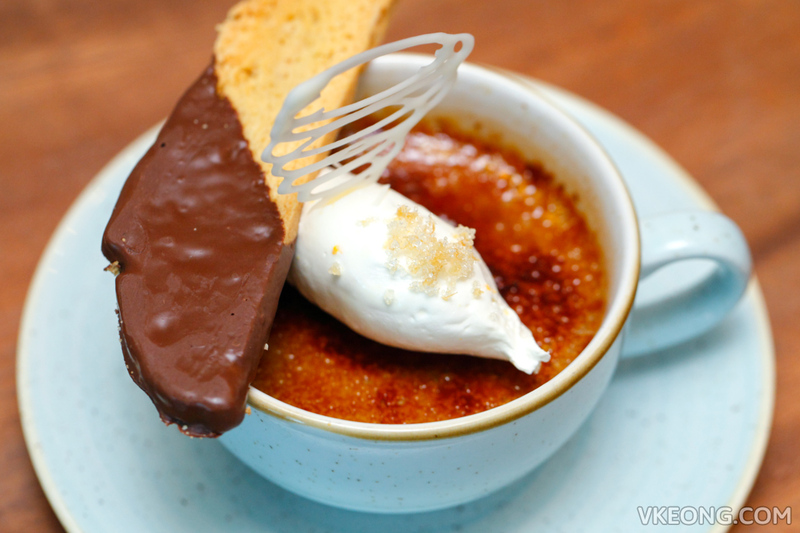 The desserts are listed in a separate menu and there are 6 choices with prices ranging from $14 to $25. 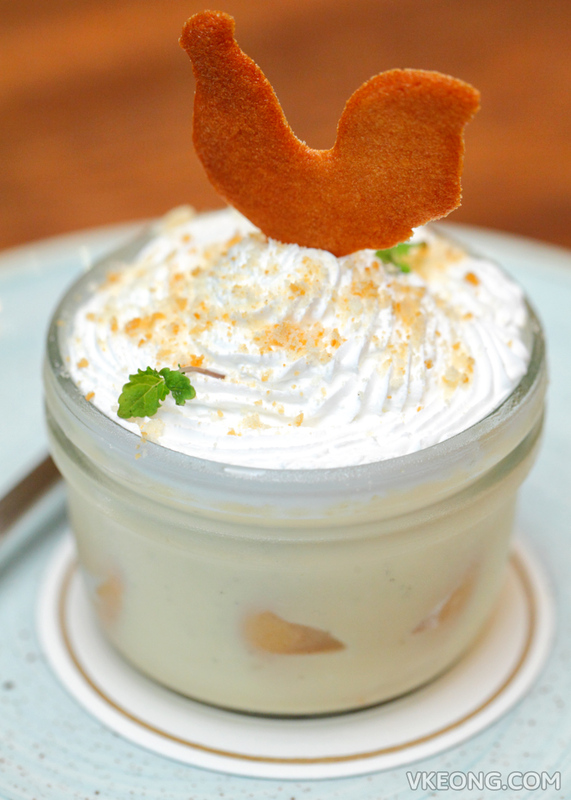 We had the Banana Pudding @ $14 and Cafe Creme Brulee @ $16 to share among the diners. While both desserts were equally great, I was especially impressed by the unassuming Banana Pudding. It had just the right amount of banana flavor, not too strong, allowing the vanilla wafers and chantily cream to shine as well. 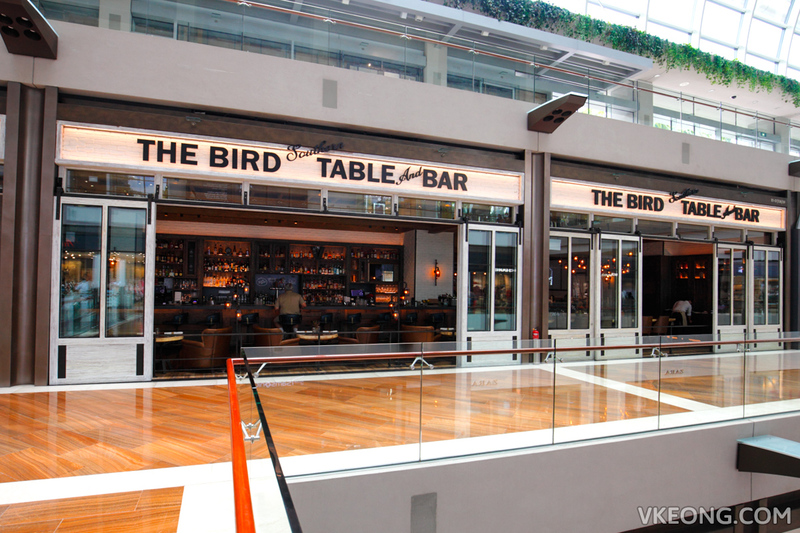 The post The Bird Southern Table & Bar @ Marina Bay Sands appeared first on Malaysia Food & Travel Blog.